This entry was posted in Bout of Books, Classics, ebook, Fiction, foreign, France Book Tours, French Bingo, I Love France, It's Monday!, Non-Fiction and tagged Bout of Books, Un-Su Kim by WordsAndPeace. Bookmark the permalink. Great Job as well as a great mix of books. 😉 Congrats! Oh, your comment about the humor on Proust is encouraging. I’ve committed to read his first book, Swan’s Way, this year. Your question is also my question. How come I never saw the humor in classics as before? I believe part of the answer is in our reading miles and experience. The more we read, the more we start to perceive the point of view and voice of the author, and good writers write, according to Calvino (if memory doesn’t fail me), and to Ortega (that for sure), tragi-COMIC books. They say both tragedy and humor are two sides of the same. I’m not certain that ALL classics have humor, but it’ll be interesting to spot those that don’t, since the more I think about this, the more I seem to see humor everywhere, from Homer, to Austen, Voltaire! I’m happy to read you’ve rediscovered your christian faith. Maybe you are right too, and we were young and gloomy, ‘too serious’, ha ha ha. I love that you read and review a variety of authors and many outside of the Anglo tradition. (It’s fun to read from all continents, specially Europe, which is close to me by birth). Good to know a bit more about you Silvia! That’s the first time I read someone sharing my point about humor in classics! Fascinating. Yes, Swan’s Way! I then encourage you to read all the volumes. Some are boring, for me the 3rd was the worst, but the last volume is so good, I’m glad I persevered (about 18 months, while reading of course lots of other things). If I were young, I would restart reading it all. I have a friend who’s been doing it 5 or 6 times. When she’s done, she starts all over again, because there are are so many connections between the volumes, you need several readings to uncover them. Calvino, another great common friend. Interesting, I teach French to a mother and her daughter in Texas. The girl is preparing AP French. She’s homeschooled, apparently there are a lot in Texas. My rediscovery of Christian faith… That what decades ago, I was 16. After that, a lot happened. I used to be Roman Catholic, and converted to Eastern orthodoxy 11 years ago. My husband is now an orthodox priest. Really? It was first time for me too. 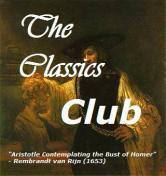 I arrived at this point, -humor in classics-, last year while finally laughing with Jane Austen’s books. I suddenly realized that I had been tone deaf to her humor. And I also identified that, for all the classics I love, or people love, we usually find the contain a good measure of humor. I think it was your comment about finding the humor in Proust that convicted me that there’s humor in the classics. And as usual, the books I was reading at the time on literature, (Calvino, Ortega), they were saying that, -which I had missed too! ha ha ha-, that tragedies are also comedies, that classics are truly tragicomic. I’m sure I may continue with the 7 books that compose his opera prima. I can see the reward in the conversation among the volumes, and I can totally see your friend’s resolve of starting book 1 at the end of book 7. That’s quite interesting, -your faith transition-, and in my ignorance, I didn’t know Orthodox priests could marry, which I now read they can’t, it’s more like a married man can become an Orthodox priest, right? Yeah, Texas seems to be the land of the homeschoolers, ha ha ha. And thanks for sharing with me, -I know there was some French connection there-. Like you, since I’m in the States and have been for quite many years, I blog in English and somehow still carry my early Spaniard background with me. Hmm, maybe I should try to reread Austen – whom I plainly hated, sorry. You read so many wonderful books. I haven’t read any of these. Good job! I’ve read Don Quixote — all four parts twice in English. I have a 200+ year old translation with illustrations. I bought it on layaway with my babysitting money as a teen. I also have the first part in the original Spanish which I’ve read most of. My weekly update. Although you didn’t meet your goals specifically, you did really well, and it is great to hear that you’re happy with all that you accomplished also.